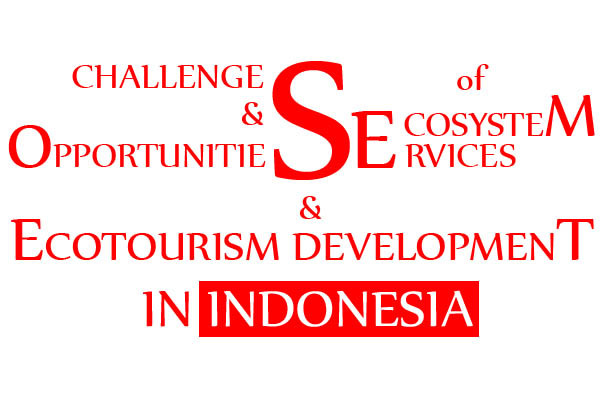 On April 19, 2013, CCROM SEAP in collaboration with Seoul National University (ATMP), and KORINDO hosted a national workshop entitled Challenges and Opportunities of Ecosystem Services and Ecotourism Development in Indonesia. This workshop was a part of 40th Anniversary of Indonesia and South Korea Relationship. AFoCoTraing and Monitoring Program, Seoul National University (ATMP) and Ecotourism Korea, CCROM SEAP-IPB, and PT. SG Consulting on behalf of KORINDO, has established an agreement for cooperation in areas of research and education. This cooperation is expected to contribute to the establishment of suitable working models through Government-Private-Academic-Community Partnership for ecosystem services and ecotourism development that can benefit local communities. Both universities with other local universities will develop research umbrella, academic programs and conducting research activities supported also by the private sectors. The national workshop was held at Grand Melia Hotel Jakarta and started by the welcoming speech from the Ambassador of South Korea for Indonesia and the Chancellor of IPB. Some of the presentations on the workshop delivered by Dr. DoddySukadri (DNPI), Prof. SinggihRiphat (Ministry of Fiscal Policy Agency), Prof. Prof. Seong-il KIM (ATMP-SNU), as well as DrDoddikNurrochmat (Fac. of Forestry, IPB). The 150 workshop participants from the national and local universities, research agencies, business association, NGOs, Governments and practitioner were also gathered to share their ideas and give valuable inputs during workshop. The main objectives of this workshop wasto share lesson learnt and experiences in the implementation of Land Forest Carbon-Based ecosystem services and ecotourism in Korea and Indonesia, to identify research needs (gaps) on Land Forest Carbon-Based ecosystem services and ecotourism development in Indonesia, to gain inputs from participants on suitable working model Government-Private-Academic-Community Partnership for Land Forest Carbon-Based ecosystem services and ecotourism development that can benefit local communities, as well as to develop research plan and academic programs on Land Forest Carbon-Based Ecosystem Services and ecotourism development.